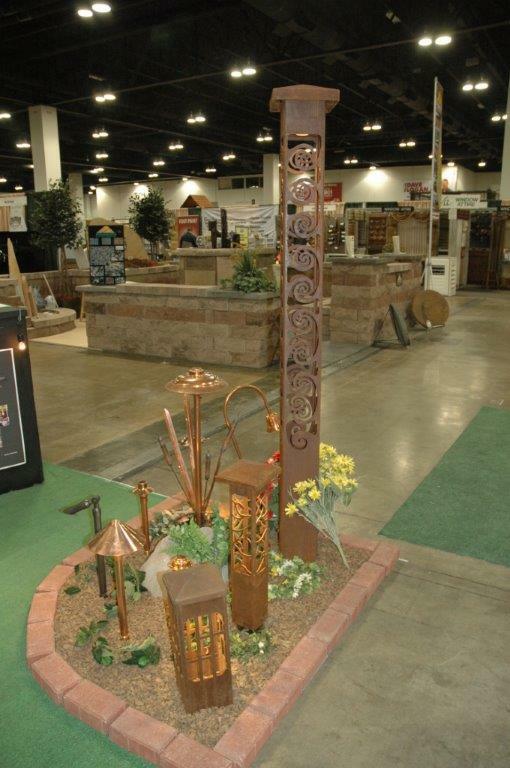 The 2019 Colorado Garden and Home Show opens its doors tomorrow at 10:00 AM! Celebrating our 20th year in business and the 20th year in the show, Outdoor Lighting Perspectives of Colorado will be exhibiting our latest outdoor landscape/architectural lighting designs and products. Stop by our exhibit (Booth #1442) to see the latest energy saving LED lighting products that will beautify your home and property, make them more safe and secure, and extend your living hours well into the evening. Kids 12 and under get in FREE, and you can also receive a discount of $2 per ticket by donating a non-perishable food item to 9Cares Colorado Shares at the ticket box. Also learn more about the latest in lighting controls and home automation technology, including smartphone- and voice-activated controls. Learn why Universal Power Line bus technology is more robust than wi-fi based technology in a home setting. Also learn about our latest municipal solar photovoltaic/LED lighting projects along the front range. At the show, we will be offering 3 different lighting packages that have been discounted as show specials. To learn more about the specials, please click on the Show Special Coupon and remember to register at the OLP booth to be eligible for the discount. We hope to see you at the show – come visit us in Booth #1442. The 2018 Colorado Garden and Home Show opens its doors tomorrow at 10:00 AM!For the 19th year in a row, Outdoor Lighting Perspectives of Colorado will be exhibiting our latest outdoor/landscape lighting designs and products. Stop by our exhibit (Booth #1442) to see the latest energy-saving LED lighting products that will beautify your home and property, make them more safe and secure, and extend your outdoor living hours well into the evening. Also learn more about the latest in lighting controls and home automation technologies. We will be offering 3 different lighting packages that have been discounted as Show Specials. To learn more about the specials, please click on the OLP Show Specials Coupon, and remember to register at the OLP booth to be eligible for the discounts. In a subsequent post, we will also be posting a $2.00 Off Discount Coupon for use in purchasing a ticket. We look forward to seeing you at the show! 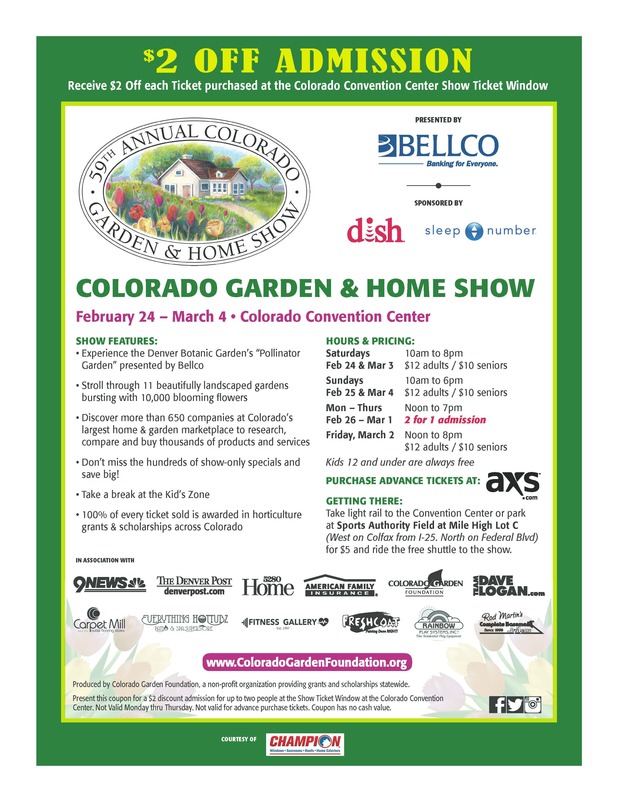 The 2016 Colorado Garden and Home Show is less than a week away ! 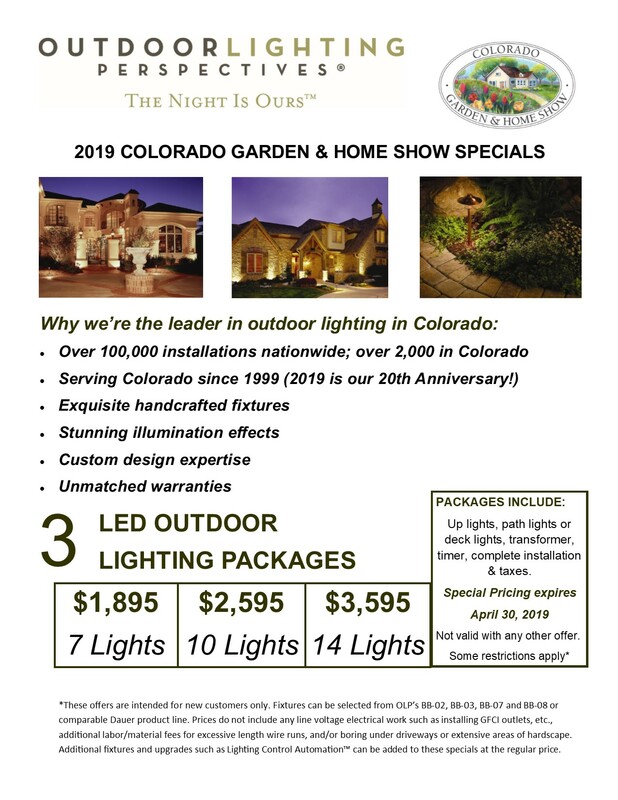 For the 17th year in a row, Outdoor Lighting Perspectives of Colorado will be exhibiting our latest outdoor/landscape lighting designs and products. Stop by our exhibit (Booth #1442) to see the latest energy-saving LED lighting products that will beautify your home and property, make them more safe and secure, and extend your outdoor living hours well into the evening. In the next few days, we will also be posting a $2.00 Off Discount Coupon for use in purchasing a ticket. We look forward to seeing you at the show! Refurbish and Upgrade Your Old Lamp Posts to the 21st Century! 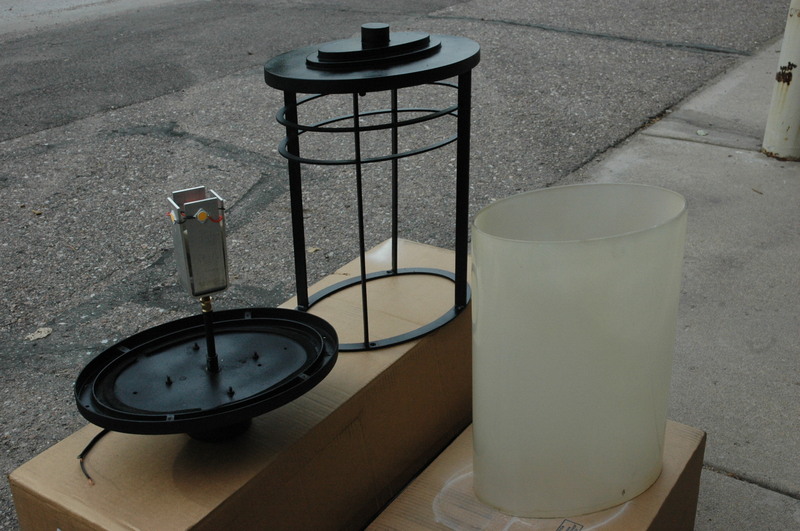 Here at Outdoor Lighting Perspectives of Colorado, we are frequently asked if we can do anything to refurbish and upgrade a homeowner’s existing lamp posts – whether they were originally installed as line voltage or low voltage. Fortunately, the answer is yes as you can see in the newly refurbished and re-installed low voltage LED lamp post shown in the picture to the right. For this project we removed the 50W incandescent bulbs and bulb sockets and replaced them with fully-integrated 4x4W LED towers that provide 360 degrees of light output. During this process, we cleaned and repainted all of the metal components of the lamp post, cleaned and re-frosted the glass lens, and installed the LED tower. This was one of two lamp posts that we refurbished and the results speak for themselves. For situations in which the glass lenses are broken, we can usually find replacement lenses from the original lighting manufacturer or from one of our local glass suppliers. And if you would prefer to start over with a new lantern top, we can help you select a new design from a range of available products. 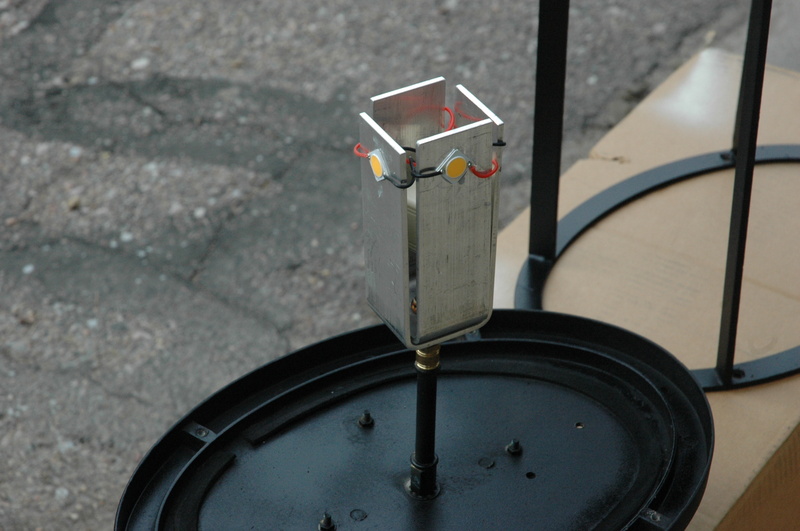 In the photos below, you can see the component parts including the LED tower prior to reassembling the lantern top and reinstalling it on the post at the homeowner’s property. In this ever-increasing throw away society, we are happy that we can offer homeowners a more sustainable solution for their old lamp post lighting. In my last blog posting, I mentioned that I had been interviewed for an upcoming article in The Denver Post. The article written by Lisa Greim was published on Saturday, February 21st in The Denver Post Home and Garden Section. In the newspaper print version the article was titled The Patio You Dream of – and the online version had the title – Outdoor Rooms: 5 Great Products to Make Them Irresistible. Outdoor Rooms: 5 Great Products to Make Them Irresistible. 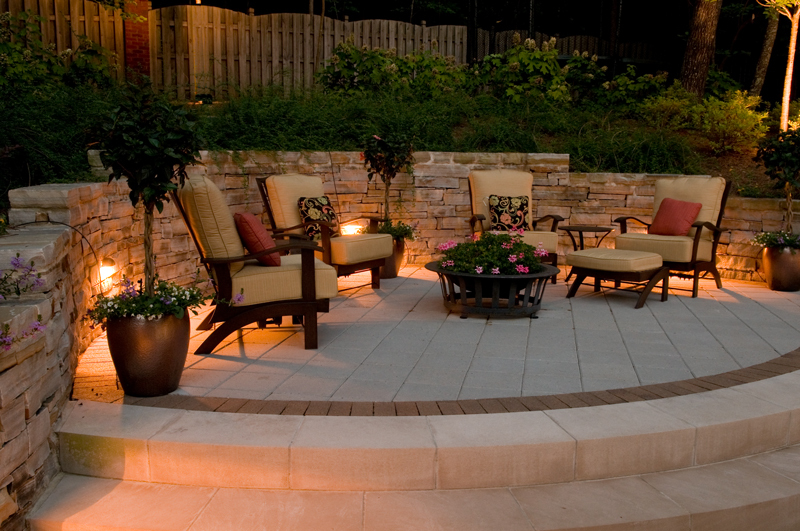 Outdoor Lighting Perspectives of Colorado was one of five local companies interviewed for the article that included product/design ideas for outdoor patios/living spaces. The product categories were adjustable sun shades, stone and mortar work including fire pits, garden containers, and of course outdoor lighting. 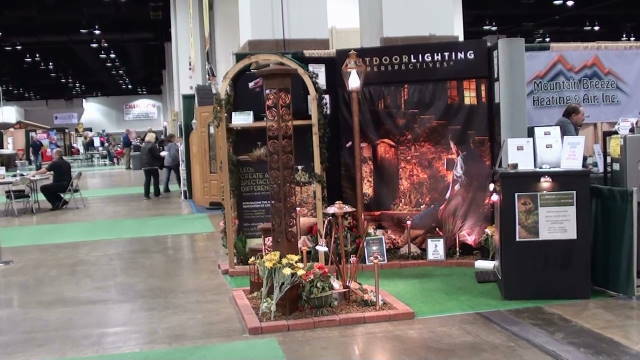 In case you were not able to attend the 2015 Colorado Garden and Home Show, I have attached some photos and a video tour of our exhibit to show you the new LED lighting products that we are now offering. In addition to B&B Manufacturing based in Nashville (an OLP official supplier since 2000), our national company has recently named Attraction Lights as another official supplier. In the next photo, you can see three of these very unique products from Attraction Lights including the Obelisk (over 6 feet tall), the Grande Path and the Grande Beacon path light. 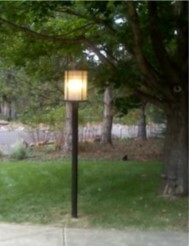 In addition, we also had a new BB-02 LED path light (B&B/OLP) on display. This is a real handy fixture for illuminating difficult-to-light areas including steps or pathways. If you have the time, take a look at our video below to get a better view of our new product offerings. While staffing the show, I was also interviewed for an article that appeared in The Denver Post, and I will post a link to that story in my next blog.